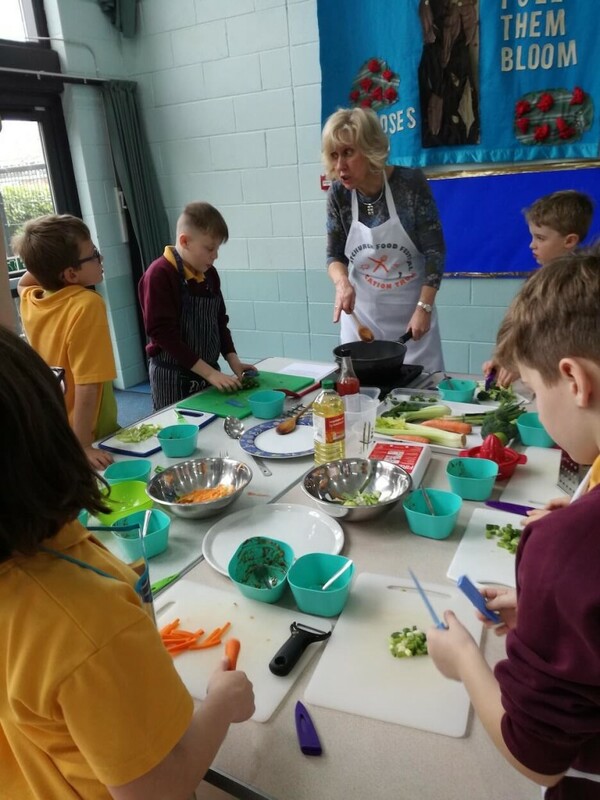 The year 4 children at Christchurch Junior School enjoyed learning to cook this week as the team from CFFET visited the school and showed the children how to cook some delicious healthy meals. 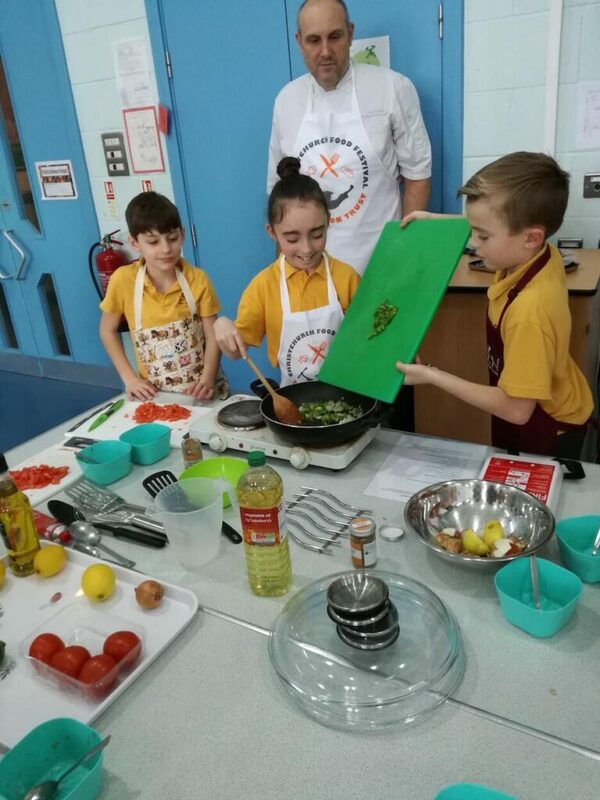 Turkey Pilau, Trout tagine, Stir fried pork and a Spanish Omelette with a Tomato and pomegranate salad were all cooked and eaten by the children. 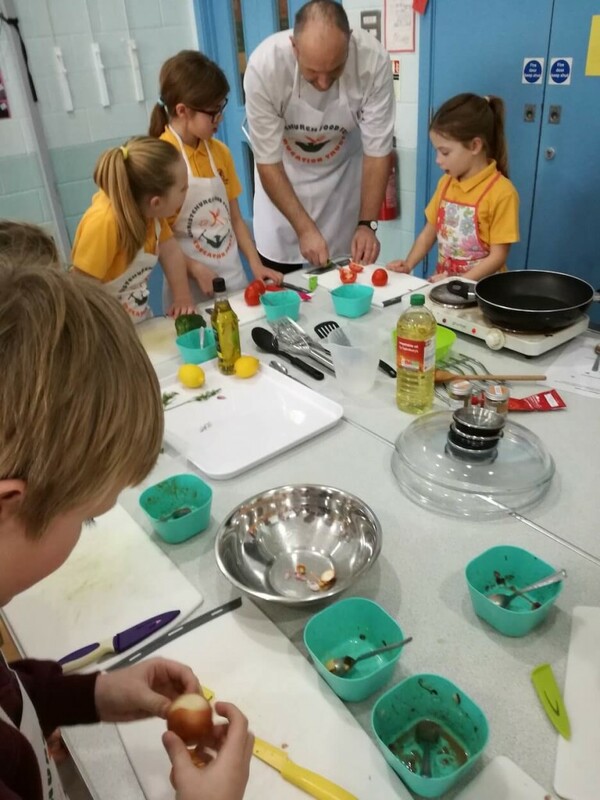 Sugar free cookies were munched at the end of each session and the children learnt about healthier options that they should choose.